At the end of an especially raucous day at his neighborhood bar, private eye Leo Waterman is surprised to see his old flame, Rebecca Duval, walk in the door. But King County’s medical examiner is here on business, not pleasure. Two dead bodies, covered by an old coat that once belonged to Leo’s father, have turned up in the trunk of a car. The only thing that seems to connect the men is a controversial local church and its charismatic pastor. With help from Rebecca and surveillance expert Carl Cradduck, Leo begins to put the pieces of the puzzle together. 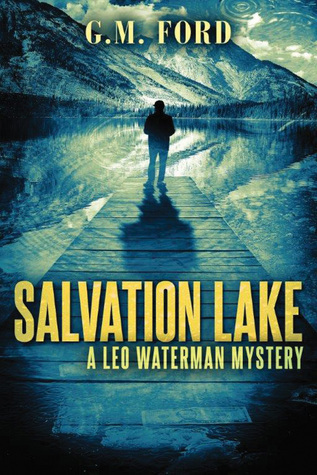 While a pair of goons do their best to chase him off the case, Leo painstakingly retraces the victims’ final days, charting their unusual search for redemption—from a downtown homeless encampment to suburban McMansions to the shores of Salvation Lake. There Leo must confront an opponent hell-bent on retribution in order to get to the twisted truth about the killings. I have been on a kick lately where I have been enjoying PI books. Even so when I first started reading this book, I wasn't too sure how well I would like it. It starts out in a bar, no let me correct that, in a dive so I assumed that this was going to go along the lines of all the hard nosed PI novels from the 50s and 60s. You know the ones I mean where the PI is despicable but still manages to get all the girls. The hero that everyone loves to hate. Thankfully it didn't take very long for me to find out how wrong I was. Even though Leo was in the dirty business of investigation in the past, he is an all around nice guy. He's one that I could easily cheer on who just happens to be rather curious and unable to rest until he finds the answers. It's just a good thing that his father left him wealthy as some of those answers are pretty pricey to discover. And together with a likeable main character, there are a cast of secondary characters that keep the story hopping. And there are those pesky questions, some of which don't get answered until the very end. Some of the plot points I was able to figure out in advance, some of them threw me for a loop. 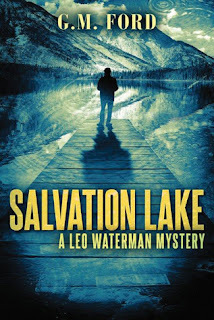 All in all, SALVATION LAKE is a very satisfying read and one that I would recommend to anyone who loves a good mystery or who enjoys the PI genre. As a bonus (at least to me), this story is based locally in Seattle which I love as I can recognize the locations that the story takes place in.